The first match in the new 2018/19 Gallagher Premiership was Gloucester's 5,000th competitive match. 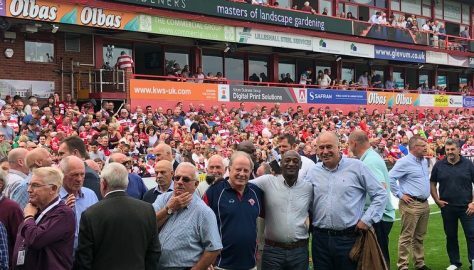 To celebrate this a large number of former players took part in a walk around the new pitch and formed a guard of honour for the teams as they came onto the pitch. Photo gallery of Former players' celebratory walk at the club's 5,000th competitive game. 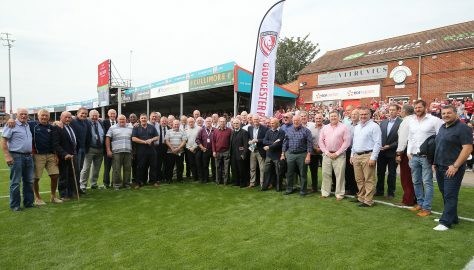 Former players gather at the club's 5,000th competitive match. List of former players at the 5,000th match celebration walk.